Ovidio Bermudez, MD, is the Chief Clinical Officer and Medical Director of Child and Adolescent Services at Eating Recovery Center. Over fifteen years ago, I timidly walked into a doctor’s office in Nashville, Tennessee, to get help for my eating disorder. I had found my way into similar offices before, but, unfortunately, clinicians had missed my illness—and dismissed me. “You’re fine,” and “You don’t look like you have an eating disorder,” I was told. But this office—this doctor—was different. I will never forget that first appointment with Dr. Ovidio Bermudez. I don’t remember exactly what was said that day, but I do know how I felt. Hope was palpable. I finally believed that I could get better. Gratefully, Dr. B—that’s what patients affectionately call him—shared this encouraging message with my family, too. He took the time out of his busy caseload to call my parents, who lived miles away in my home state of Texas. I don’t know what was said during that phone conversation, but, again, I know the result: hope. My parents and I began to understand that the road to recovery might be a long one, but we also knew that I could get better. It took many years (much more time, energy, and effort than went into crafting this simple sentence), but I did recover. In fact, with access to continued expert care, I found full freedom from my eating disorder. If you are struggling with this treacherous illness, hold onto the hope that you, too, can heal and ultimately get your life back. With this blog post, I am thrilled to share that I am joining forces with Dr. Bermudez at Eating Recovery Center (ERC) as the National Recovery Advocate of ERC’s Family Institute. Years ago, if someone had told me that I would one day work alongside Dr. B—providing hope to families and to those who struggle—I wouldn’t have believed it. But, this is what happens when you add recovery to an eating disorder: you get the unbelievable. To speak confidentially with one of our Masters-level therapists, call 877-957-6575, or click on this image and fill out the short form. You don’t have to struggle alone. We’re here to support you on your journey to recovery. 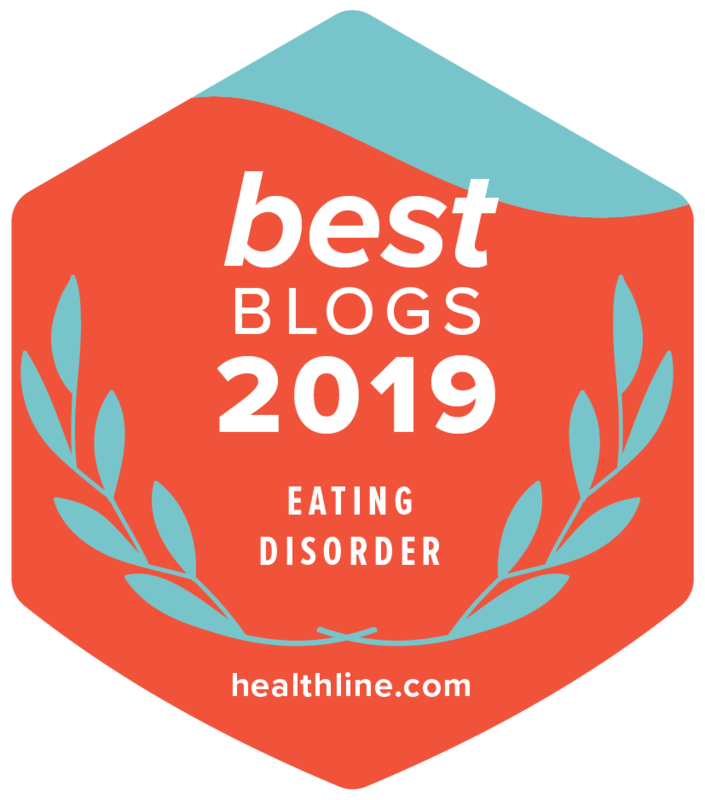 As the National Recovery Advocate of ERC’s Family Institute, I will continue my passions of speaking, writing, and connecting with those whose lives have been touched by eating disorders. ERC has many locations throughout Texas where I now live, so I will have the unique chance to promote healing in a place where, years ago, when I was suffering, lacked this expert care. In my role with ERC’s Family Institute, you will see me more on social media. (Please visit us on Facebook, Twitter, and Instagram!) Basically, joining ERC gives me the opportunity to do more of what I love to do. I am truly grateful for this chance to team up with top leaders in the eating disorders field like Drs. Ken Weiner, Craig Johnson, Emmett Bishop, Jr., Stephanie Setliff, Allison Chase, and yes, Dr B. Our mission at Eating Recovery Center is to provide the very best care to patients, families and referral sources in the treatment of and recovery from serious eating and related disorders. I know what it is like to desperately need top-notch care and to not receive it. Thanks to Dr. B, I also know what it is like to be guided and supported by experts who, plain and simply, “get it.” If you or your loved one needs help, connect with us at ERC, and I assure that you will be heard. You will be understood. You will be joining a family that will provide ongoing support for life—not just for when the illness is at its worst. Above all, like I discovered years ago, you will find that hope is real. Recovery is possible. Has your life come full circle in recovery? If so, please comment below sharing the gifts of recovery in your life. Together, with this blog post and your inspiring comments, we can provide the much-needed hope that healing is, in fact, possible. Watch Tea Time with Robyn Cruze, my fellow National Recovery Advocate! Are You Wearing Ed Glasses?